The Sony Xperia XZ2 Premium is the most advanced phone that Sony currently offers: it features a unique, 5.8" 4K 2160 x 3840 pixels display, the sharpest of any phone, it sports the top-tier Snapdragon 845 chip, and an improved camera. 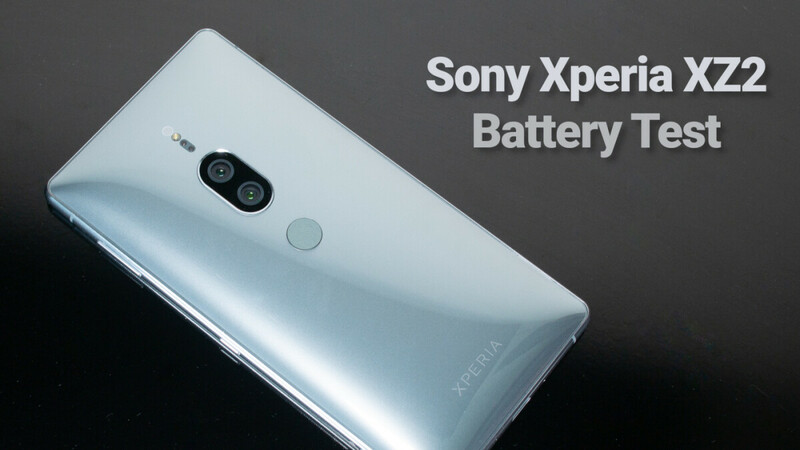 But what about the battery life on the Xperia XZ2 Premium? Equipped with a 3,540mAh battery, it has about average capacity for this size, but the size of the battery alone is not the only thing that matters: software optimization and screen power management all play a huge role in the actual battery experience on a phone. As you can see, the Xperia XZ2 Premium actually scores lower than many other Sony phones and is about overage when compared with other, non-Sony phones. The reason for this increased battery drain probably has something to do with the higher resolution of the screen. In our experience, the battery lasted enough to get us through a solid one-day of normal usage, but not much more. One nice extra that makes up partly for those slower charging speeds is wireless charging. The XZ2 Premium does support wireless charging and you can easily slap it on a Qi wireless charger and not worry about cables. What is your experience with the battery life on the Xperia XZ2 Premium? How many hours of screen-on time are you getting? Worse than iPhone, which other sites show as a lot weaker than Your tests... Who I should believe? PhoneArena or other sites? Why phones with SD845 posted lower battery efficiency when compared to SD835 phones? I'm seeing this with SD845 phones even in other sites too. New gen chips are supposed to be more efficient right? What is with battery and SD845? It has SD845 and WRGB... For a proper test, it will resist more. Gsmarena battery and other tests are much better. I do not consider 7:25h as "good", that's well below average for a high end phone and a real deal breaker! And there we have it folks. As with previous tests of SD845 phones, their battery efficiency is noticeably worse than a previous SD835 variant. Just facts. Google may be the only OEM to buck this trend.